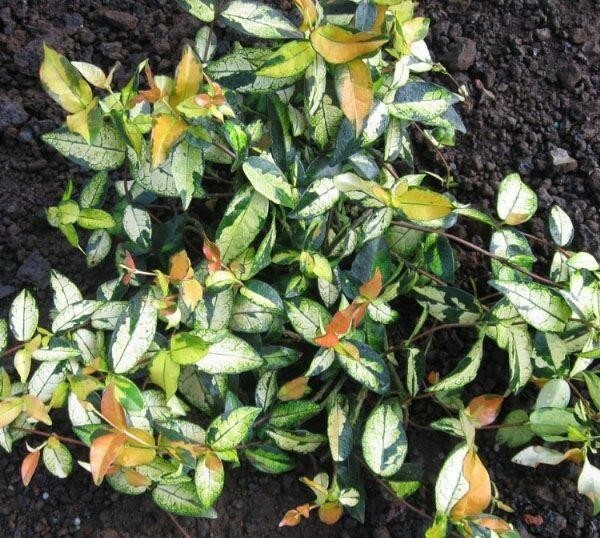 This beautiful variegated Jasmine is highly colourful and is sure to make a bold statement in your garden. 'Ogon Nishiki' is a climber, and can also be used as groundcover, or with support, grown against a wall or fence for an unusual and attractive display. Tends to not have the vigour to grow upright of it's own accord, but it looks stunning when planted in containers or grown tumbling over walls and pots. Young shoots are a wonderful amber colour with dark-green streaks to them. As they mature they turn to a golden yellow and then to an ivory white, often all colours are present at once creating a lovely rainbow effect. A superb evergreen, Ogon Nishsiki will also produce very fragrant, white flowers. A highly desirable plant that can be used to create a multitude of effects.